When couples find out the woman is pregnant, there is typically cause for celebration and greater intimacy in the relationship. However, this news is not always a good thing. Couples who are struggling with relationship issues may find a pregnancy pushes them farther apart, and becomes the catalyst for divorce. The combined emotions of pregnancy and divorce is a lot for any woman to process, and making the right decisions for herself and the new child may not be easily discerned. Further, adding an unborn child into the divorce process creates additional legal considerations that need to be addressed. These extra concerns revolve around the particular needs of newborn children that impact issues such as parenting plans, medical costs and alimony. Balancing the needs of the child and interests of both parents can be tricky during the first stages of a child’s life. 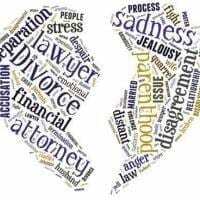 A discussion of the legal aspects, as well as the practical matters, of navigating divorce during this time of great change will follow below. To the extent possible, courts look to grant shared parental responsibility in child custody matters, and to give each parent “frequent and continuing” contact with a child to promote healthy parent/child relationships. Parenting plans lay out the responsibilities each parent has for the child, and most importantly, include a time-sharing schedule to establish how often the child will stay with each parent. Newborns present challenges to organizing a parenting plan that is fair to the father, but also workable for the mother and infant. Newborns require constant care that depends considerably on the presence of the mother, especially if she is breast feeding the infant. While carving out bonding time for the father is important, in the first months of a child’s life overnight stays may not be possible. This means, for all intents and purposes, usually the mother has sole physical custody during this period of time. Instead, both parents should be flexible, and try to work in a few hours every week for the father to visit with the child. Once the child is no longer dependent on breast milk, overnight stays can and should be integrated into the time-sharing schedule. Pregnancy and childbirth are well-known to bring a large amount of additional medical costs that can easily run into the thousands of dollars. Generally, spouses are not required to cover the health care costs of the other following divorce. However, in the case of pregnancy the court may order the husband to contribute toward the costs of the mother’s health care until the child is born. If the woman receives health insurance through her husband’s employer, she would be able to continue on the same plan under COBRA after divorce, which would allow her to keep the same doctors, a priority for most during pregnancy. In this situation, the husband could be ordered to pay at least part of the monthly premium, which is typically substantially more than the employer-subsidized monthly cost. Alimony is generally awarded on a temporary basis until a party becomes financially independent, and if a woman chose to stay home with the baby for the first few months, courts would likely be amenable to ordering some amount of alimony if the other party is able to pay. However, extended periods of absence from work, especially if the woman was employed before pregnancy, could face increased scrutiny from a court about how long alimony should last. Most people facing divorce have to juggle the emotional and practical changes that come with the end of a marriage. Adding a pregnancy to this burden is a lot for anyone to handle. A divorce attorney, like those at All Family Law Group, P.A., can take some the of stress away, and help make decisions that best for you and your family. All Family Law Group, P.A. represents clients in the Tampa Bay area, and can help you move forward. Contact the Tampa divorce attorneys and family lawyers at All Family Law Group, P.A. in Tampa Bay at 813-816-2232 for a consultation at no charge or email us.